← How do we get to Heaven? “By doing the best [you] can to lead a good life”???? What a Fall Season We have Had! It has been a crazy Fall season with schools starting classes and meeting new students and campus outreaches happening across the Capital Region of New York. There is so much to thank God for! This email update features both the stories of Steve and Rich who are two guys we have ministered to both in New York City and here in the Capital Region, respectively. 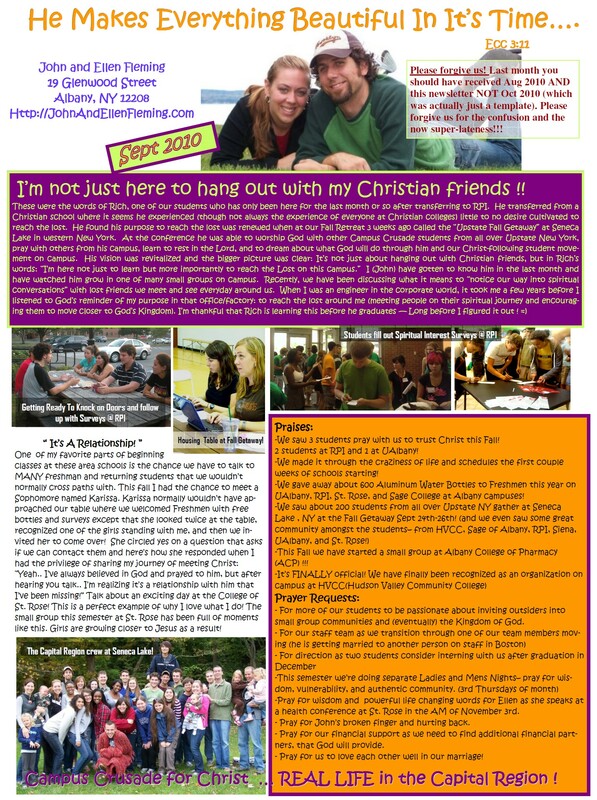 You can download our newsletter by clicking on the image below. We hope you will pray for Ellen’s talk she will be sharing with St. Rose students on Wednesday (11/3) morning (as mentioned in the prayer requests in the September letter, see link above). God has blessed us with a house with personality! We knew what we were getting into, thank the Lord, (since we rented out the downstairs apartment in our house first before buying) and yet the learning process for painting, scraping, and installing doors and windows to replace drafty ones (while tax credits can still be obtained) is a journey full of surprises, sweat, and hard work. We want to thank so many people who have been able to help us work on it and all that but also thank the many more people who prayed for us while we went through the first stage of changes in our home. God loves us through people like you! 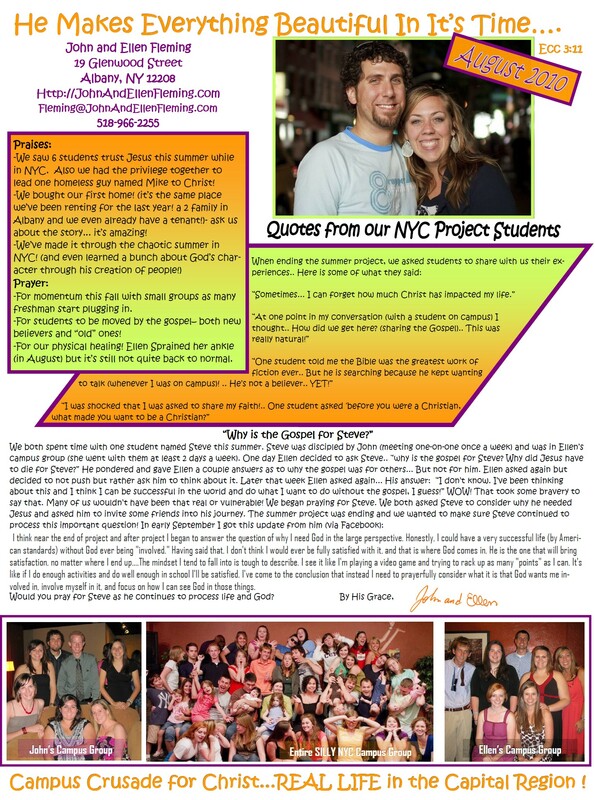 Posted on October 30, 2010, in College of St. Rose, Fall, Getaway, New York City, Newsletter, NYC, NYC Tribecca, summer, summer project, Summer Project and tagged 2010, College of St. Rose. Bookmark the permalink. Leave a comment.